This past winter, I recognized that I needed a sufficiently challenging goal to force myself to train again. It’s been nearly a year since I trained with my Elmhurst running group on the Illinois Prairie Path, incidentally the first successful rails-to-trail conversion in North America. But the lessons and advice I learned have stayed with me. My pacing has slowed 1 minute per mile (a combination of more hills in Minneapolis (and you thought it was flat!) and less regular training). But I know how to prep the night before the race, fuel before and during the run (GU is delicious), pack your drop bag (flip flops! 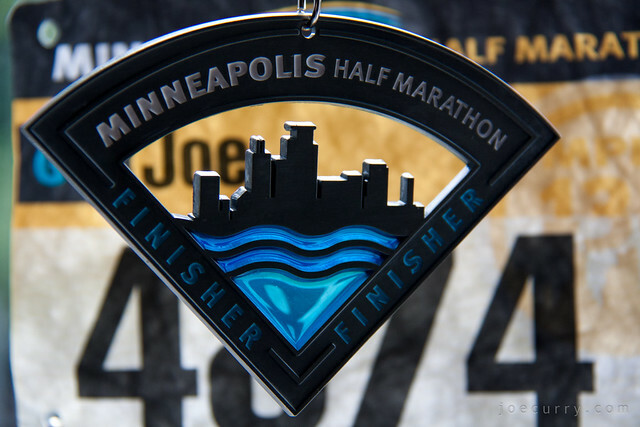 ), how to pace that very crucial first mile and the rest of the race (thanks to Garmin), how to pinch and pour the water cups, mixing the right music for my iPod shuffle, and how to stretch. It was fun to race many parts of the course with my college friend Erika. And, I’m proud that I ran the entire race without stopping–eating my GU and drinking water on the run and finishing (unofficially) at 2:01. For a junior high kid whose worst living nightmare in P.E. class was running one mile, it’s amazing what you can accomplish with training and determination. I woke up at 5:30am on a Saturday. Voluntarily. 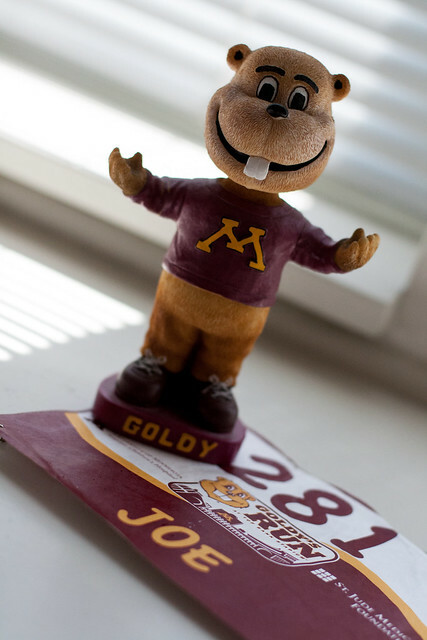 Today was Goldy’s Run, a 10 mile course along the Mississippi River on East River Road and West River Parkway with a finish in the Minnesota Gophers TCF Bank Stadium. While snacking on Nutella on bread, I did some stretching and had a little dance off to Good Feeling by Flo Rida. Thou would think I was auditioning for a Will Ferrell movie on dancing. Thou might even have been awestruck by my arm flailing. But Thou weren’t there. It was a beautiful day for a run, and I finished in good time. Of the couple thousand people there, I didn’t find my two college friends who ran the 5K, but surprisingly ran into a friend from work and we celebrated with a stop at BW3’s at 10:30am. 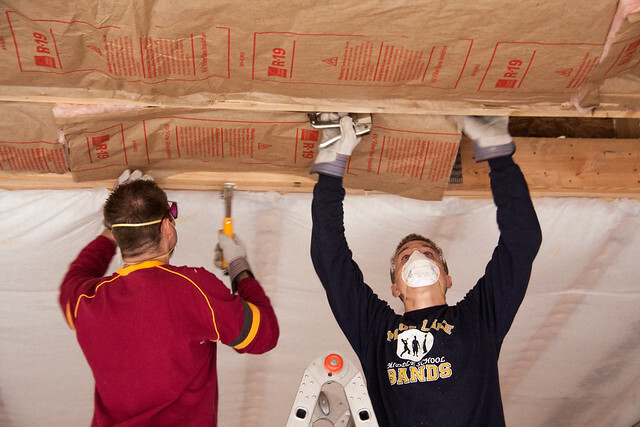 In the afternoon, I helped and learned how to install fiberglass insulation in my buddy’s garage in Shakopee. In case you are wondering, I actually did work, but did stop for two minutes to take photos. The night ended in Uptown visiting with five college friends, some of whom I hadn’t seen in nearly nine years. What a day it’s been!